After a funeral, you may want to send out thank-you notes for flowers, food, donations, fruit baskets, to your coworkers, the funeral director, pallbearers, the organist or other musicians. Funeral thank you notes can be difficult to write. Please know that you have my sympathy if you are in this situation. The sample wordings in this post are here to help you figure out what to say. For more general help with funerals, check out the Funeral Resources site. Use the links in the table of contents below, to quickly jump to at section. Examples to thank the funeral pastor are in the pastor appreciation post here. When you are ready, the templates and samples below can help you get started with your notes. Losing a loved one is difficult. If you are not up to writing thank-you notes, it’s okay to delay writing them for a few weeks or even longer. Or ask a friend or other family members help write the notes. When a parent passes away, divide the thank you notes up between the siblings, or perhaps older grandchildren can help. Mention the deceased by name in the note. And sign your full name, to help the recipient know whose funeral the note is in regards to. A personalized note can be included on the blank side of a note with printed text. Or you can order thank-you note cards of your choosing that are blank on the inside. Should I write a thank-you note to those that came to the funeral but did not give a gift or donation? No. It’s not necessary to thank those that were at the service or calling hours but did not give flowers or any other type of gift. However, If you want to, you can send a bereavement thank you note. Should I send a thank-you note for every sympathy card? No. Cards do not need to be acknowledged. Emily Post recommends a thank you when a personal note was written on the card. You can see same examples in the bereavement section below. The notes do not need to be long. The goal is to acknowledge the gift, food, sympathy, etc. Handwrite the notes, if possible. Handwritten notes can feel more personal than other methods. One exception may be to email co-workers as you may not have their home address and you don’t want to wait to deliver the note in person when returning to the office. More “rules” can be read here on the Bradshaw-Carter site. If a gift was given, such as flowers, donation, food, you can thank the person for the gift and their bereavement support in the same note. You might want to look at examples in the other sections for gift wording ideas. Thank you for your support when my mother passed away. Your comforting words meant meant a lot to me. The card and your note were touching. I appreciate the sympathy card, note, and flowers you sent when [person's name] passed away. You've always been a thoughtful person and I'm glad that you are in my life. I am grateful for your support during this difficult time. Thank you for the beautiful card and sharing your story of when your sister passed away. Losing my sister has been very hard and your words provided comfort. Thanks for being there for me! Thank you for going to the funeral home with me to help make arrangements for my mom. She was very special to me and I am glad you were able to go with me. It's all felt overwhelming. Your support helped me get through the planning details. The service turned out very well because of your help. You are such a strong, loving person. Thank you for helping me when my dad died. I am glad you came over to make sure I was actually eating the food that was being dropped off by others. I am grateful for your support. Thank you for being my best friend and being there once again when I needed help. The funeral went as well as a funeral could go and I was thankful to have you by my side. And, I appreciate the cards and phone calls checking on me. Sometimes donations can be made to an organization in lieu of flowers. The organization could be Hospice or the local Humane Society. It will be whatever the deceased requested. The donations are usually dropped off at the funeral home. It's also possible that money will be given when someone passes. In your thank-you note, you can write what the money was used for or if it was passed on as a donation. Thank you for making a donation to Hospice in memory of [name of deceased]. We were grateful for the support of Hospice near the end of her life. Also, thank you for coming to the funeral. [Name of deceased] shared many stories about you with the family in recent weeks. We appreciate your donation to the Humane Society made in honor of Uncle Joe. Joe was a dog lover his whole life, and he would be happy knowing that more dogs will be helped. Thank you for the money at the time of Betty's passing. Your contribution was given to the American Heart Association as Betty was a long time supporter of their research. Also, thank you for attending her funeral. The monetary donation you made at John's funeral is appreciated. The family used it to help cover the funeral expenses. We are grateful that John had such a wonderful boss in you. He spoke highly of you often. Thank you for your generous gift given at the calling hours for [person's name]. I am grateful for the monetary support as his passing was unexpected. Your donation was used towards the expenses. We are grateful for your monetary support during this time. The money you donated was used to cover dinner and snack food for the family during the calling hours at the funeral home. The entire family thanks you! Thank you for the donation you made in Betty's honor in lieu of flowers. Betty was passionate about [organization name or cause]. Betty talked often of you and how wonderful of a friend you were to her. There are examples below for funeral flower thank-you notes. 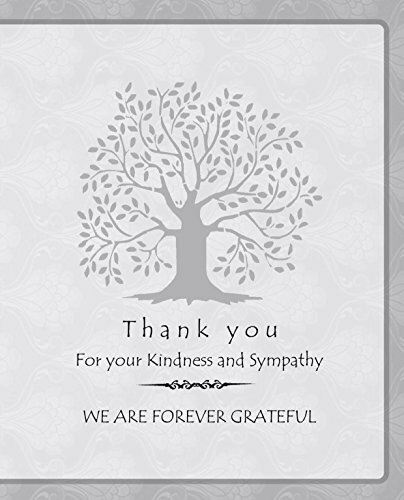 The generic thank you for the flowers templates are here. The flowers for Betty’s funeral were beautiful. The arrangement of purple carnations and white lilies was stunning, and Betty would have loved them. Thank you for your kindness and remembering the family. We appreciated the roses at my grandma’s funeral. Roses were her favorite. Roses will always remind me of grandma. Thank you for the beautiful flower arrangement sent to the funeral home for my sister’s funeral. She loved tulips and I loved that you choose my favorite color for them. I will plant them outside soon. Each year, when they bloom, will be a pleasant reminder of you and my sister. I am grateful to have you as a friend. The flowers remembering my grandpa are lovely. Thank you for caring about me and my family. The family appreciated the flowers for Aunt [Aunt’s Name]. The arrangement was amazing and my aunt would have loved them. Thank you for showing your support and sympathy through the flowers. Sending flowers to the church for my grandma’s funeral was thoughtful. The flowers helped the church to look beautiful during the service. Also, thank you for coming to the visitation. Many flowers were sent to the funeral home for my dad. I liked your flowers the most! And I appreciate that you choose flowers that are not poisonous to my cats. I will enjoy them at home this week and not have to worry about my cats dying if they decide to eat them. This could be for food brought to the funeral home for calling hours, or the after the funeral meal or food brought to your home before/after the funeral. Thank you for organizing the food for the calling hours. The church has been a real blessing to us during this difficult time. The family loved the chicken wings and side dishes. I was feeling overwhelmed when [Name of deceased] passed away. The casseroles you brought over were great! I lived on them for a couple of weeks and may not have eaten otherwise. Thanks for being there for me. The meal after the funeral at the church was wonderful. Thank you for hosting the family and providing all the food. Food is such a comfort in times like this. We were able to share many memories of [Name of deceased] during the meal. Thank you for arranging the pizza for my family during the weekend of my mother’s passing. With so many family members visiting from out of state, the pizza was a blessing. We were all happy to be able to eat together at home without figuring out what to eat. Also, thank you for coming to the funeral. My family is thankful for the meals provided when my husband passed away. This has been a very difficult time for us. The children were glad to have some of their favorite comfort foods on hand. Your support has been a bright spot for all of us. The casseroles you provided for the meal after the funeral were great. The enchilada and lasagna casseroles were big hits. Thank you for providing this comfort food. Note: If you are thanking a group of coworkers at the same time, you may send them all one email. Thank you for sending flowers to the funeral home. The arrangement was beautiful, and I felt touched that the team remembered me during this difficult. I will see you all when I return to work after settling Mom’s affairs. Thank you for coming to my dad’s funeral. His passing was very hard and unexpected. Your support was appreciated. I have the best coworkers! Thank you for the flowers sent to the church for my grandma’s funeral. They helped me to know that you were thinking of me while I was out of the office. I also appreciate all the work that was covered for me while I was out. I am thankful to have you as a coworker. Your presence at the visitation was appreciated. I am grateful that we have become not only co-workers but friends. You are a very thoughtful person. Thank you for coming to the visitation and funeral for my mom. As you know, her passing was very hard on me. I appreciate all of your support. Thank you all for coming to the funeral last week. I am thankful that I was able to be away without worrying about my job and if my work would get covered. We have the best team! 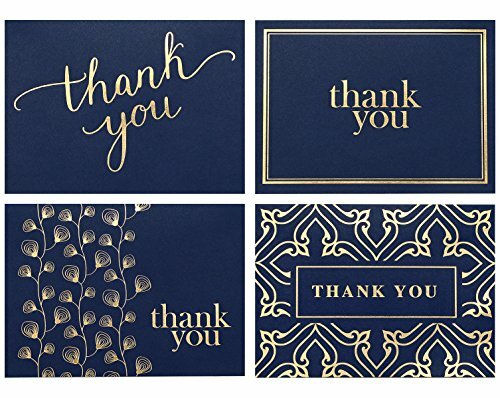 Thank you note cards available on Amazon are below (affiliate link). Funeral directors are usually very helpful when the time comes to make arrangements for a loved one. I commend you for wanting to thank your funeral director during this difficult time. Below you will find example thank-you notes to help you get started. When my mother-in-law died unexpectedly we relied on the funeral director. He helped us with death certificates, cremation process, transportation of the deceased, and filing the obituary with the local newspaper. This is a small list of what funeral directors can do. Read more about funeral directors here. Another idea for wording examples is to browse funeral home websites that share thank-you notes as testimonials. If you look at the site for the funeral home you use, just be sure that you do not exactly copy someone’s note and then give it to them. It’s possible that they would recognize it as being from their own website! If you worked with several people, it’s fine to address the note to the staff of the funeral home. Thank you for helping us through the process from beginning to end. We were not prepared for mom’s death. We appreciate all the support from the entire staff. Having food delivered during the long day of calling hours was a fantastic idea. The family was thankful to be able to step away for a bite to eat while taking a break. Thank you for ensuring all the details of my Aunt [aunt’s name] funeral went smoothly. When she asked me to be her representative upon her passing I was not sure what all that would entail. I was glad for your help with the obituary and obtaining the death certificates. I want to thank you for all the time you spent with my family. Explaining each step helped us make decisions and feel in control of a very hard situation. Thank you for arranging for [name of deceased] to be taken to the church. Having the funeral at the church she attended for over 50 years was important to the family. Your suggestion to make a DVD with photos worked out very well as family and friends enjoyed viewing it during the calling hours. Thank you for everything you and your staff did for [deceased name’s] funeral. The room was the perfect size for the funeral and the organist did a great job playing the hymns. Everything went as well as possible given the situation. I appreciate that you were able to organize the pall bearers as that part was too stressful for me to deal with at the time. We appreciate the kindness of all of the staff during the calling hours and funeral for my grandma. She was a special lady and I am thankful that everything went smoothly. The family appreciated the snacks that were on hand for the calling hours too. We felt blessed to have you as our funeral director. Thank you for everything you did to make sure that everything went smoothly. We will recommend you to other families when they need a funeral director. Thank you for being an awesome funeral director! I wasn't aware of how much happened behind the scenes until my dad passed. Your knowledge and expertise helped make the process feel not so overwhelming. Serving as a pallbearer can be a honor to the deceased at their funeral. If you'd like to send them a thank-you note there are some samples below. Only the first example will include the Dear (opening) and closing (your name). Thank you for serving as a pallbearer at Paul's funeral. He requested to have you a pallbearer many years ago. I appreciate you serving in this way. Grandma will be missed. We are grateful that you were able to serve as a pallbearer. Grandma told us how much she enjoyed your visits over the years. Thank you for being a last minute pallbearer at Jane's funeral. Her youngest son is doing better now, but the grief was too much for him at the funeral. We are glad that you were able to stand in and help out in this way. Greg enjoyed spending time with you. A few days before he passed, he asked us to ask you to be a pallbearer when the time came. Thank you for honoring his request. Thank you for coming to Mr. Smith's funeral. We are glad that you were willing to be a pallbearer. Mr. Smith would have appreciated it too. We are thankful you were there with us to help celebrate life. Funeral organist and musicians can be thanked for their part in the funeral. If someone sang a solo it's possible that the deceased choose the song and the soloist. The organist may have been selected through the funeral home or the church. The funeral director or a church contact may be able to deliver the thank-you note or provide contact information, if you do not know them personally. A thank-you note is in addition to fees paid to the organist or other musician. The fee is sometimes paid to the funeral home, and then they pay the musician(s). Thank you for playing the organ at my mom's funeral. She would have enjoyed the hymns you selected. The music played before the funeral felt peaceful. We appreciate you serving in this way. You are a wonderful organist. The family was grateful that the funeral home has you on staff for funerals. Aunt Jane loved organ music her whole life and we are glad the funeral home had an organ to help fulfill her final wishes. Attending Scott's funeral was heartbreaking. Hearing the beautiful music coming from the piano was calming. Thank you for being there and playing the requested music. Your performance of Amazing Grace was wonderful. I understand why Grandma asked you to sing a solo! Your ability to make it through without crying was impressive. I know how much you loved her and will miss her. Thank you for coordinating all of the music for Jane's funeral. We felt very overwhelmed. Your experience was appreciated by all. And, thank you for singing the two solo pieces that Jane asked for. I hope these notes have been helpful. Again, I’m sorry to hear that you need to write this type of thank-you note.